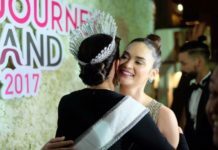 The current trend at Miss Universe seems to show that the pageant values more the effort rather than the substance when it comes to National Costumes. This has got to stop. Take for example the current winner of Miss Universe National Costume contest, Htet Htet Htun of Myanmar who used the costume designed by Gam Htoi Lazing. The weight of what the contestant has to carry was way beyond ridiculous. It’s one thing to dress as a Burmese marionette but it is whole different scenario if the entire set of Yoke thé (traditional Burmese shadow puppetry) will be brought onstage. Miss Universe realized long ago that the best National Costume need not to be the biggest and the heaviest. In 1993, Miss Norway Ine Beate Strand won the award with her intricately designed bunad. The traditional Norwegian dress was more culturally appropriate and it is something that people use during national celebrations. 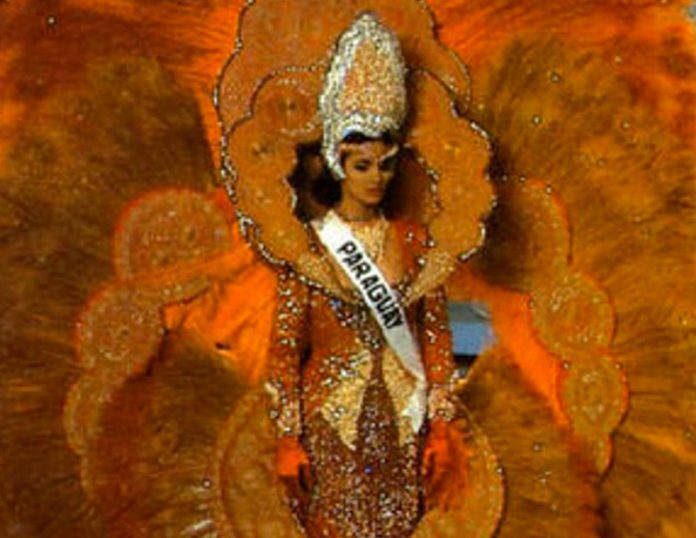 It was also a direct contrast to the 1992 winning costume worn by Miss Paraguay Pamela Zarza. Pamela’s humongous orange dress is still the record holder for being the biggest costume ever at Miss Universe. Miss Universe back then understood that a national costume is something that is relevant and appropriate and above all realistic. It didn’t want to risk say, Miss Italy bringing the entire tableau of the St. Peter’s Square as national costume. Post-Pamela Zarza the winning costumes were more aligned to the credible definition of a national costume – from Charlene Gonzales’ T’boli inspired dress to the dark colors of María Reyes’ costume to Sarang Kim’s colorful hanbok. But from 2011 onwards there has been a u-turn towards the old habit. Miss Universe began awarding the Best in National Costume award to those costumes that are way out of proportion in terms of size. Effort trumps substance and it is encouraging countries to bring heavier, denser and larger costumes beyond to what is necessary. If the pageant will not curtail this practice, the level of silliness will get out of hand. Miss Universe must have another post-Pamela Zarza realization before it’s too late.